Searching for “tree pruner Portland”? You’re in the right place. Tree trimming is an ISA-certified arborist specialty — and professional arborists have their work cut out for them, with more than 170 species of large trees in Portland. Trees and hedges in the Northwest can easily get out of control without regular and professional maintenance. Hiring a licensed, certified arborist with proven credentials (i.e., Northwest Arbor-Culture Inc.) can ensure big trees will be a safe, healthy and beautiful part of your landscape and property. Why Is Tree Trimming and Pruning So Important? If you’ve lived in the Northwest through all four seasons, you know what Mother Nature can do to our big beautiful trees. As I tell many of our new clients, the larger trees in our landscapes tend to be a lot healthier and thicker with growth than those growing naturally in the wild. 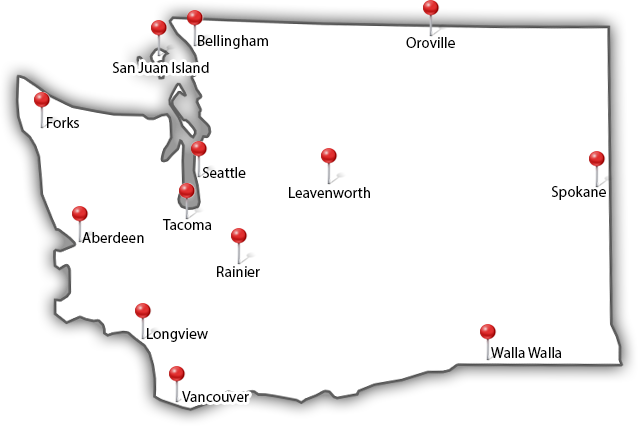 In most everyone’s landscapes in the Northwest, we provide water and nutrients that Mother Nature wouldn’t provide otherwise. Because of this human intervention, most of the bigger trees in our landscapes tend to be overgrown and contain excess center growth and deadwood. They also act as large sails in the wind, and they can become overbearing with foliage weight during heavy wind, rain, snow and ice storms. For huge trees in Portland and the Northwest, it’s survival of the fittest. Wind-Sailing: Some parts of greater Portland are extremely windy. If you fear your bigger trees falling or breaking during a windstorm, wind-sailing can help allay your concerns. (The wind-sail effect is the result of a large, thick and dense canopy or crown.) Wind-sailing entails removing select branches from the tree’s crown so a larger tree can bend and move more easily in the wind, preventing breakage of the roots and stem. It is best for deciduous trees rather than mature conifers. Thinning / Pruning (Standard Trim): Thinning your big trees will remove major deadwood, storm damage and excess growth. We will raise and balance the canopy as needed above your landscape, home or structure. 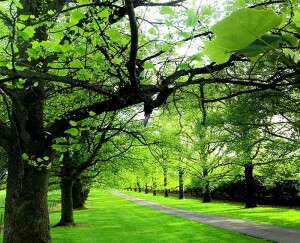 The end result will reduce liabilities, promote good tree health and increase aesthetic value of your tree. Pruning your trees with a standard trim will encourage proper growth and balance throughout the entire stem of the tree. When an ISA-certified arborist prunes your tree, he or she removes weak branches to boost air circulation and encourages light filtration, which ultimately reduces wind-sail effect (see above). Ornamental Pruning: Ornamental pruning is usually done on the wide range of Ornamental trees or smaller species of trees in the Northwest. Northwest Arbor-Culture, Inc. performs ornamental pruning to enhance the structure of your tree and develop a healthy, natural piece of art in your landscape. Lacing: Lacing your tree is a method used to encourage more light and air filtration in your bigger trees. This style of trimming is usually specific to deciduous trees because it deals directly with large, broad canopies. This trimming will thin out thick areas of the canopy and expose the structure of the large, dominant branches. Raising and Balancing: Arborists raise the skirt or lower branches of trees by trimming lower branches that may be dying from lack of light or that are aesthetically undesirable. A tree pruner and tree trimmer in Portland will raise the skirt of a tree that has already established most of its main branches that are more beneficial to the structure. Deadwooding: This method of trimming addresses all the major deadwood in your tree. This unsightly dead material is important to remove for the health of the tree. It greatly reduces the probability of the deadwood breaking and falling on your property. Crown reduction: Northwest Arbor-Culture, Inc. only performs crown reduction when necessary, as it entails discarding high, large branches and can be similar to topping (see below) when done incorrectly. Our experienced, ISA-certified arborists will only perform a crown reduction under very specific circumstances, such as view enhancement, windowing or removal of a dead top. Tree topping: Topping — removing the top of a tree — is dangerous to big trees and widely discouraged. 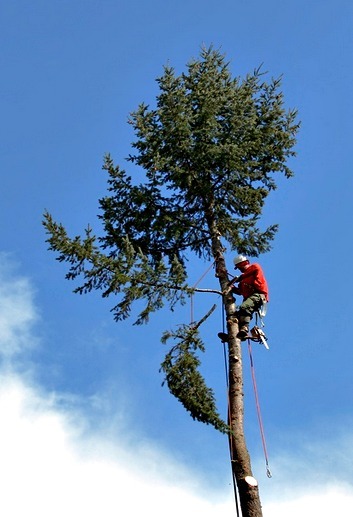 A novice large tree pruner in Portland may top his or her tree in an attempt to reduce height or bulk, in fear that the tree is too tall and will fall. But this practice can potentially lead to weak connection points of the new growth, decay, unwanted multiple tops stemming from the cut, catastrophic failure of the tree and an unsightly, ugly tree. The ISA-certified arborists® at Northwest Arbor-Culture, Inc. will address your tree with this method only under the circumstances listed above in crown reduction, and this is always a decision made by evaluating all other methods first. When Is Best for Tree Trimming? In Portland and the Pacific Northwest in general, Northwest Arbor-Culture Inc. recommends that a tree pruner and tree trimmer address your deciduous trees every 3-4 years and conifers every 5-10 years, depending on the liabilities under the tree, the objective of the tree in your landscape, type of tree, its health, and its maturity. Portland tree trimming can be done throughout the entire year, usually in the spring and summer. However, oaks should not be pruned April through June to avoid oak wilt disease, and fruit trees should be trimmed in the fall. An ISA-certified arborist or professional tree pruner and tree trimmer will know when is ideal to prune your specific trees. 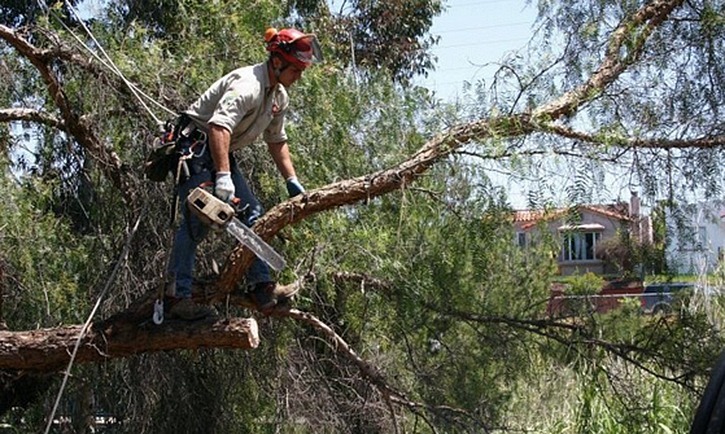 Why Should My Tree Pruner Be an Accredited, Certified Arborist? In our landscapes and gardens, finding a Portland Tree Pruning and Portland Tree Trimming service that’s also an accredited, certified arborist is vital to reduce the liabilities of your trees, prolong your trees’ health and increase the aesthetic value of your trees. Tree-trimming disasters are all too common. 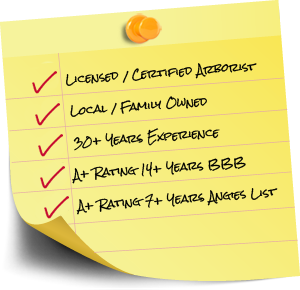 Be sure that the service you hire is properly licensed, bonded and insured to work on your trees. Additionally, you should only hire a tree service that provides workers’ compensation insurance that covers all workers on your property. 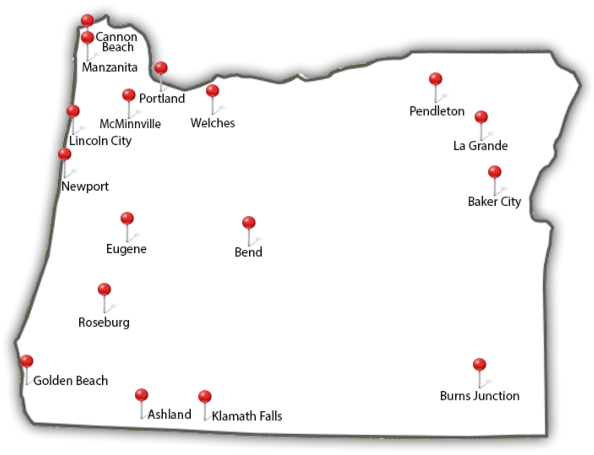 Why Depend on Northwest Arbor-Culture, Inc. as your Portland Tree Trimming Service? The ISA-certified arborists at Northwest Arbor-Culture, Inc. know how to avoid bad cuts and flush cuts without leaving stubs so the tree will heal itself. One example is flush cuts. That’s when someone removes a branch with a vertical cut parallel to the trunk, cutting off part of the trunk and exposing it to decay, rather than leaving what’s called the branch collar, or the point the tree can begin the healing process. A good large tree pruner in Portland like Northwest Arbor-Culture, Inc. will also be able to help you navigate the city’s permits and requirements for tree removal, if your tree is a certain size (one foot in diameter or more) or in a particular district or environmental zone. Tree pruning may seem deceptively simple, but the number of factors involved mean it’s always best left to the professionals. Like our doctors, an arborist is your tree’s doctor. Tree trimming is an art and science. Trimming trees can be done by most anyone with the right tools. But trimming big trees properly and safely is a skill that takes years of experience and dedication. At Northwest Arbor-Culture, Inc., our goal is to maintain your business for the life of your trees and create a piece of art in your landscape. Our experience and reviews speak for us, and our client loyalty over the past 17 years speaks louder than words. Need a certified arborist and licensed, bonded and insured tree pruner in Portland, Oregon? Meet our team and contact Northwest Arbor-Culture, Inc. today!